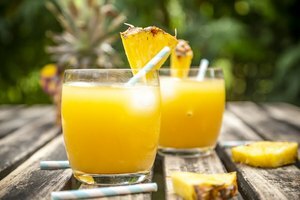 Brunch isn't brunch without a mimosa, the classic cocktail first popularized in 1920s Paris. 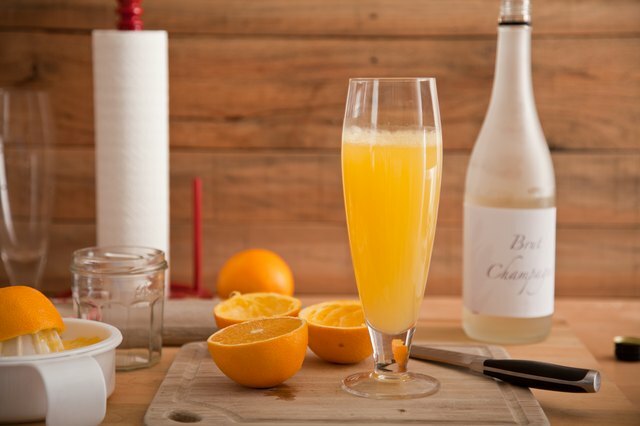 While a mimosa requires only two ingredients -- orange juice and Champagne in equal proportions -- choosing the right types and combining them in the correct manner can make the difference between mediocre and memorable. 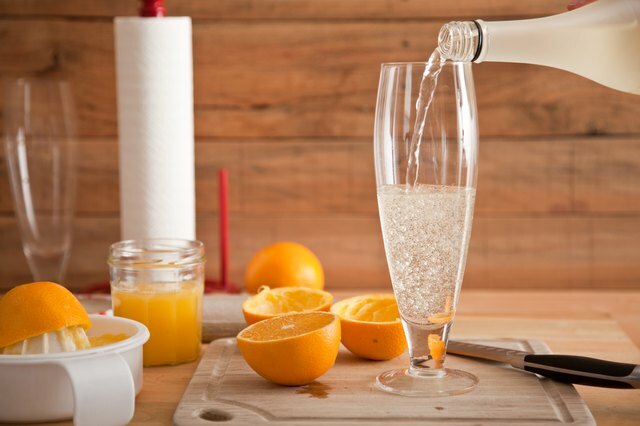 Using freshly squeezed orange juice, not juice from a gallon jug, carton or can, is essential to making a good mimosa. Prick oranges all over with a fork and microwave them for 20 to 30 seconds on high. Roll each on a flat surface, pressing down with your hand to release the juice from the flesh. Cut and juice the oranges with a manual or automatic juicer, and pour the liquid through a fine-mesh sieve to remove pulp and seeds. 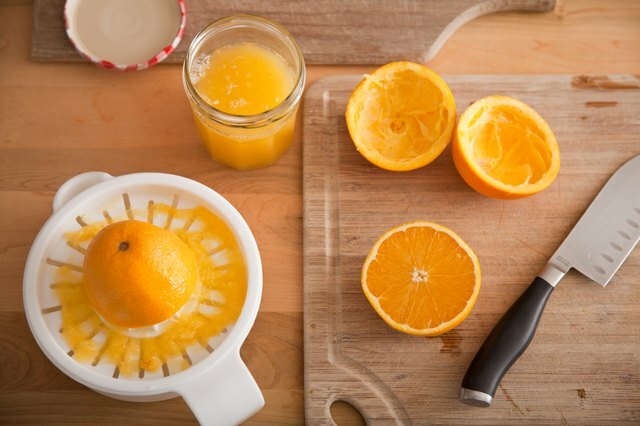 Plan to use two to four medium-sized oranges to yield approximately 1 cup of juice. To keep your mimosa from tasting too sweet, choose a Champagne labeled as "brut" or "extra-brut." These are the driest, or the least sweet, types of Champagnes, with all the bubble but less of the sugary taste associated with extra dry, dry -- also called sec -- demi-sec and doux Champagnes and sparkling wines. Any moderately priced, dry Champagne will work. 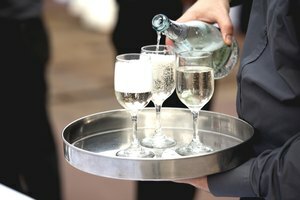 Avoid brands on the extremes of the cost spectrum: Cheap Champagne leads to poor-tasting mimosas, and expensive Champagne isn't worth using for mixed drinks. Most mimosa recipes instruct you to assemble the drink by pouring the orange juice into the glass, then adding the Champagne. However, doing so may cause the drink to fizz over the top. Instead, pour the Champagne into the glass and wait for the bubbles to foam up, then subside, before pouring in an equal amount of orange juice. Don't combine the two beforehand, and don't stir the mixture, or the Champagne may go flat. Prepare each drink just before serving, directly in the glass. 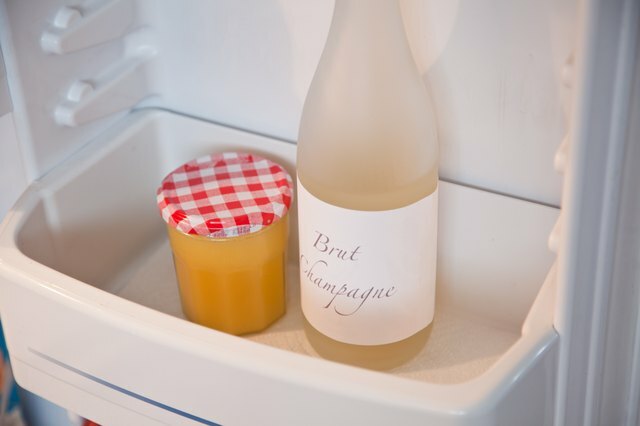 Use only orange juice and Champagne that's been thoroughly chilled. Get your champagne down to 43 to 48 degrees Fahrenheit, the recommended serving temperature, by purchasing it in advance and keeping it in the refrigerator for at least two days before using. Don't try to speed up the process by putting the Champagne in the freezer -- it may explode. In a pinch, fill an ice bucket half full with ice, top it off with cold water and leave the Champagne in it to chill for at least 30 minutes. 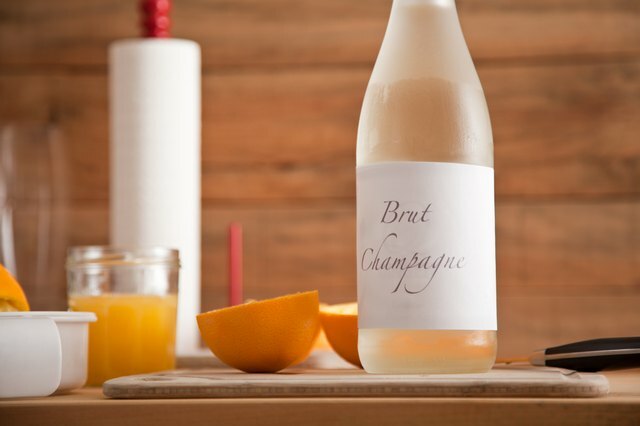 Between pouring mimosas, always return the Champagne and orange juice to the refrigerator. My Recipes: How Do You Know How Many Oranges to Buy When a Recipe Calls For a Certain Amount of Fresh Orange Juice or Zest?